This book makes an important contribution to the literature on problem-oriented policing, aiming to distill the British experience of problem-oriented policing. Drawing upon over 500 entries to the Tilley Award since its inception in 1999, the book examines what can be achieved by problem-oriented policing, what conditions are required for its successful implementation and what has been learned about resolving crime and disorder issues. 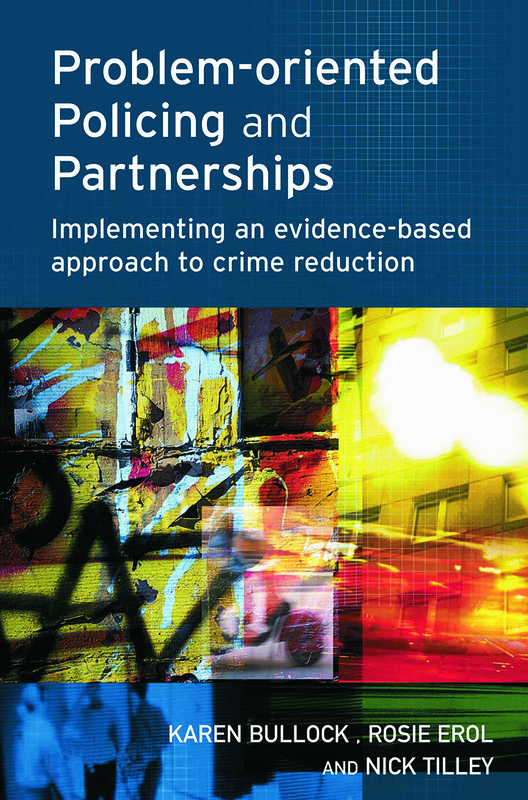 Examples of problem-oriented policing examined in this book include specific police and partnership initiatives targeting a wide spectrum of individual problems (such as road safety, graffiti and alcohol-related violence), as well as organisational efforts to embed problem-oriented work as a routine way of working (such as improving training and interagency problem solving along with more specific challenges like improving the way that identity parades are conducted. This book will be of particular interest to those working in the field of crime reduction and community safety in the police, local government and other agencies, as well as students taking courses in policing, criminal justice and criminology.